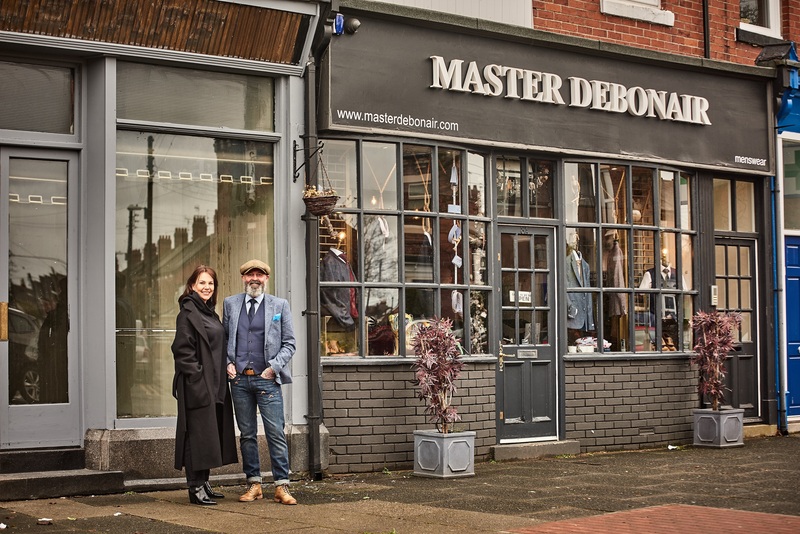 Independent menswear brand, Master Debonair has announced it is expanding its East Boldon flagship store into a three-floor shopping experience. The award-winning retailer has acquired the building adjacent to its current store with plans to create an even bigger gentleman’s showroom. The new store, which is expected to open in May will span across three floors and showcase Master Debonair’s extended own brand range as well as sartorial styles from three-piece suits to overcoats, footwear and accessories. Outside Master Debonair, in East Boldon. Eve Whitaker, of Master Debonair, said: “Work is well underway at our East Boldon store after acquiring the property next door. Master Debonair has recently opened a new store at 49 Commercial Street, London, close to Old Spitalfields Market, plus a brand-new website strengthening its online sales. Founded by husband and wife team Simon and Eve Whitaker three years ago, the company now employs 30 people across its North East signature store and head office, where its private showroom, offices and distribution centre are also based.